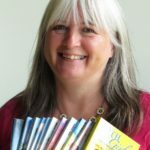 The latest Write for a Reason course has just come to an end… as always it’s been lots of fun, and I’ve enjoyed getting to know the students. One issue that has cropped up once again, as it often seems to, is the use of dialogue tags. I’ve mentioned this here before, but thought I’d bring it up again. Dialogue tags are words like said, asked and replied, that are added to speech so we know who is doing the talking. Now we know it’s Mum speaking this line. You can use other words – whispered, yelled, muttered, and a hundred and one other words, but simple tags such as said, replied and asked tend to become invisible, which is helpful if the conversation is supposed to be flowing quickly. There is a place for using more descriptive tags; just make sure they are carefully chosen, and you don’t overdo them. 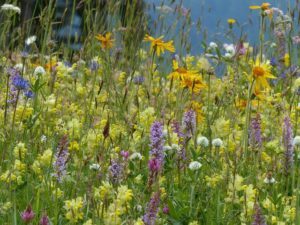 “I’ve brought you some wild flowers,” I said. Warning: use even more sparingly tags that are action-related rather than speech-related (such as wept, hissed and gulped). You don’t have to leave them out; just be aware that they can get in the way of your dialogue rather than enhance it. Consider if there might be a way of showing the character doing the action, instead of saying it. It’s not wrong to use these action tags, but as is often the case, everything in moderation. You can skip dialogue tags altogether if it’s obvious who is speaking. You do need tags if there could be any doubt about who is talking, especially if the dialogue is between more than two people. There’s nothing more annoying for readers than having to go back and check who said what! We don’t need to add, “he said”; we know the man drinking the tea is speaking, so no tag is required. And don’t forget to start each new speech on a new line! Please let me know in the comments if you found this post helpful, or if you’d be interested in joining the next course. Any feedback is great, to help me to help you! P.S. Did you get last week’s free giveaway on the subject of humour? If not, you can still get your copy here. 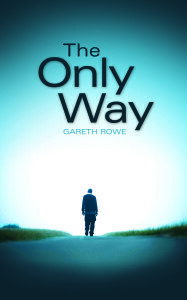 *All quotations are from The Only Way by Gareth Rowe, published by Dernier Publishing.